Filth From a Delicate Frame"
Chicago's Lovely Little Girls focus on the details; that bit of flab hanging over a waistband, those ill-fitting shoes that carve deeper with each step and that slight underbite - teetering between the lovely and the repugnant. 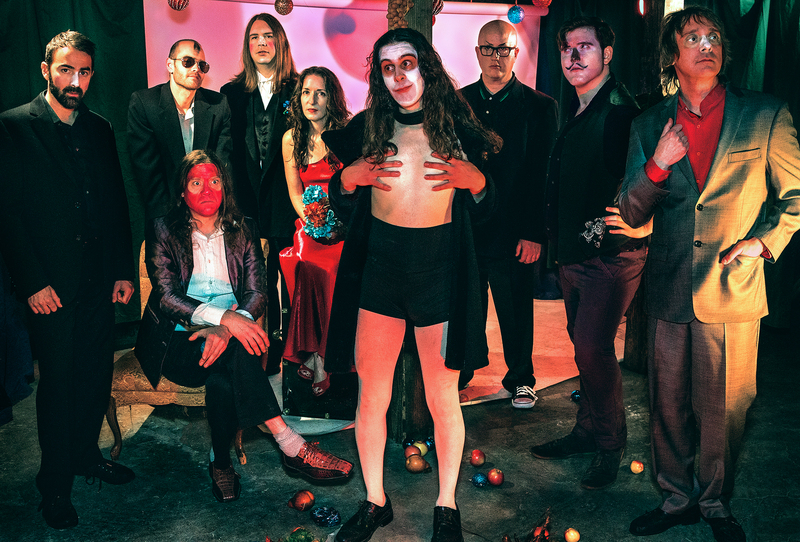 Led by visual artist/vocalist Gregory Jacobsen and bassing Alex Perkolup (Cheer-Accident, Flying Luttenabachers, Bobby Conn), Lovely Little Girls is a nine-piece art-prog band that features the cream of the crop of Chicago's avant-rock scene. 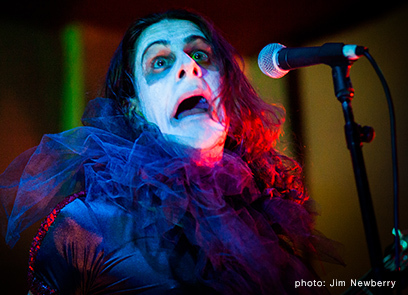 "Glistening Vivid Splash", the band's second full-length for SKiN GRAFT Records propels the ensemble's darkly humorous vision of absurd sexuality, abject failure, and unceremonious death to new heights by utilizing more space, and employing a strange sense of harmony that will strike a chord with fans of Magma, Cardiacs, Arrigo Barnabe, and early Residents. 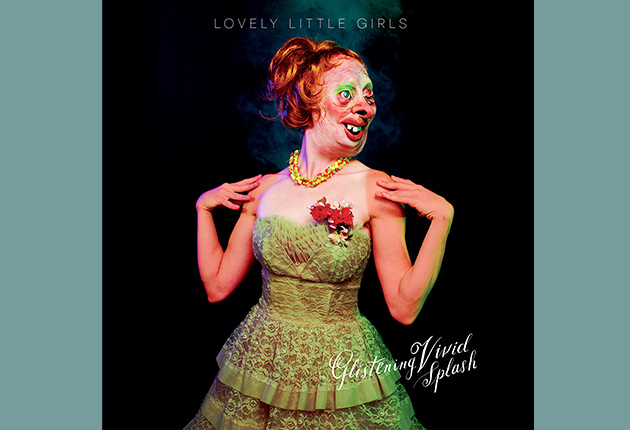 Produced by Greg Norman and mastered by Todd Rittmann (Dead Rider, US Maple), the music of Lovely Little Girls is permeated by an ominous urgency, ripening and decaying before the ears. 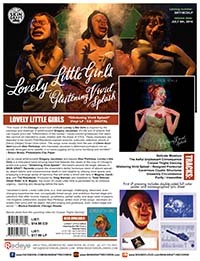 The music of the Chicago avant-rock oddballs Lovely Little Girls is inspired by the paintings and drawings of artist/vocalist Gregory Jacobsen. It's the sort of artwork that can inspire lyrics like "Inflammation of the harelip," candy-colored grotesques that seem like carnival art intended to scare children with the threat of STDs. 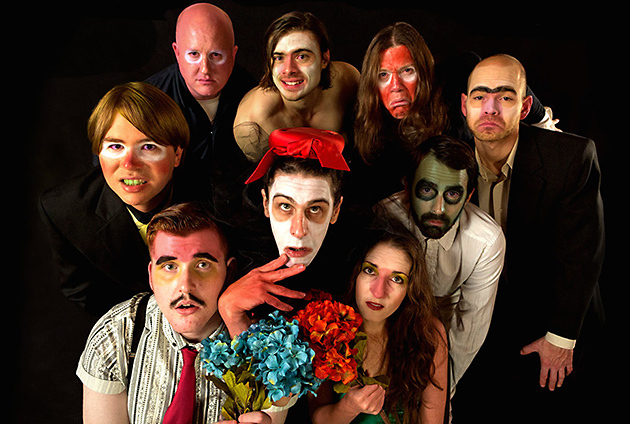 These characters are depicted in the band's Frith/Residents-inspired anarchic outbursts, sideshow skronk in [Henry Darger] Vivian Girls colors. The songs come mostly from the pen of Cheer-Accident bassist Alex Perkolup, who translates Jacobsen's deformed portraiture into an equally deranged sonic palette, a no-wave juggling act by turns horrifying and horrified. "Cleaning the Filth From a Delicate Frame"